Why exercise one side of the brain when you can stimulate both simultaneously? 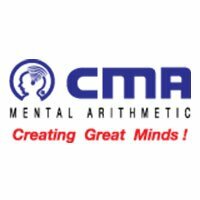 CMA is the pioneer of the Two-hand, Four-finger methodology that has upped the benefits of abacus mental arithmetic to a whole new level. Our multimedia based programme and online learning combine the best of an age-old skill with the advancement of technology. At CMA, we are a different ball game altogether. We are here to Create Great Minds.